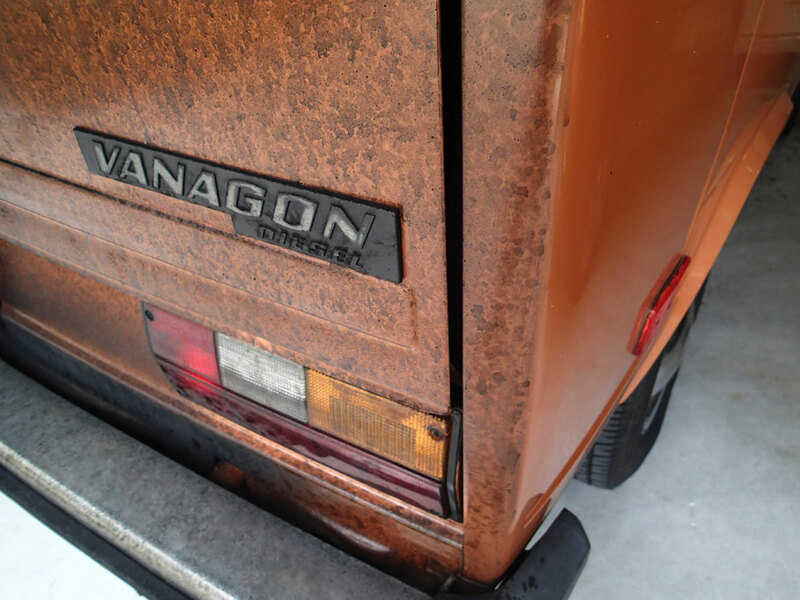 Oil and soot on the hatch back. October 23 – November 16, 2014. The van we bought was loud and smoky. So smoky other motorists would flag us down to tell us we were on fire. So smoky a state trooper pulled me over. 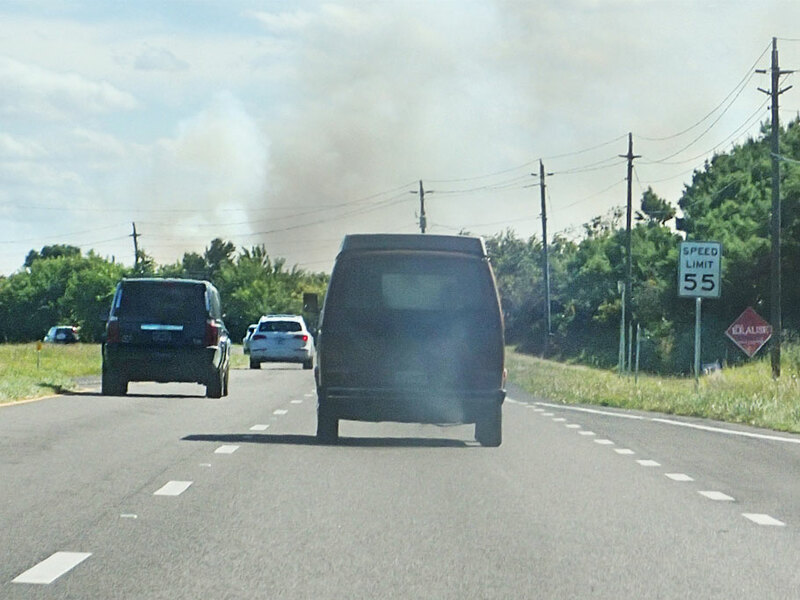 We really want an eco-friendly vehicle, so fixing the smoke became a high priority. When we got to Florida we put posts in a couple of online forums asking for advice. 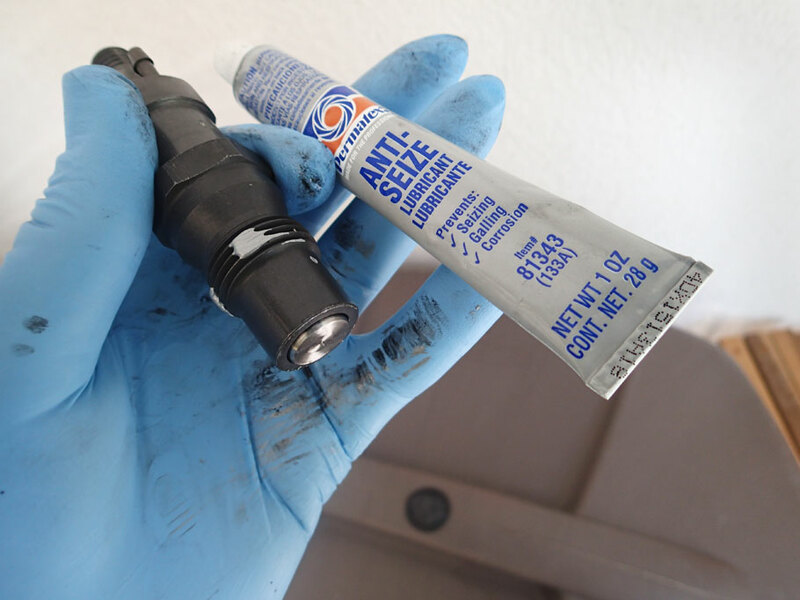 The VW diesel community had lots of suggestions: replace fuel injectors, check the compression, check the timing, and the valves. Iâ€™ve never done any of this stuff, so I spent a lot of time reading, reviewing diagrams in the shop manual, and just looking over the engine. 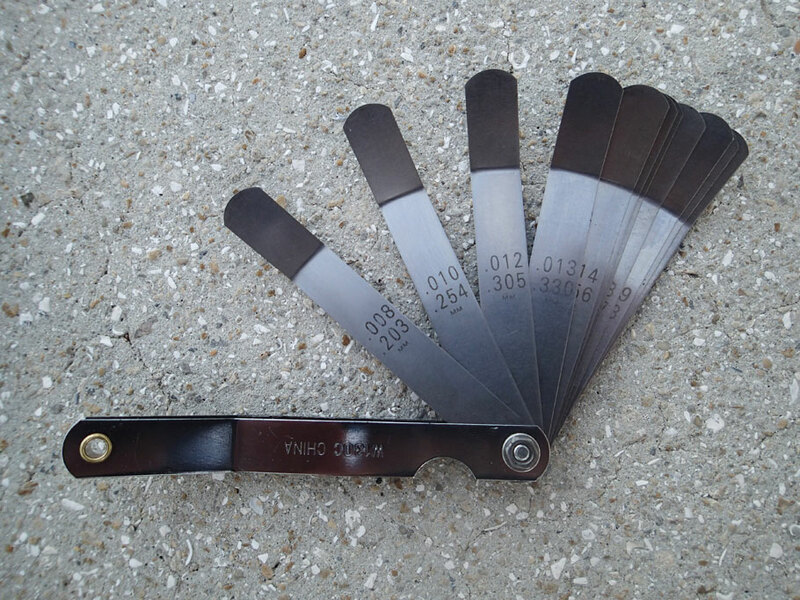 I shopped online for tools, trying to find the best values, and keeping in mind what we might need for the boat. I figured out a plan of attack, discussed it with Duwan, and started ordering stuff. How do you figure out if you are getting less smoke in the exhaust? Holding a sheet of cardboard by the muffler while you rev the engine is OK. Making â€˜beforeâ€™ and â€˜afterâ€™ videos of the engine running is also good. But itâ€™s best to have your sweetheart follow you in another car with a camera mounted atop a tripod on her passenger-side floorboard. And when you get back home, what could be more entertaining than trying to decide which movie is smokier? Replacing the fuel injectors helped a lot. 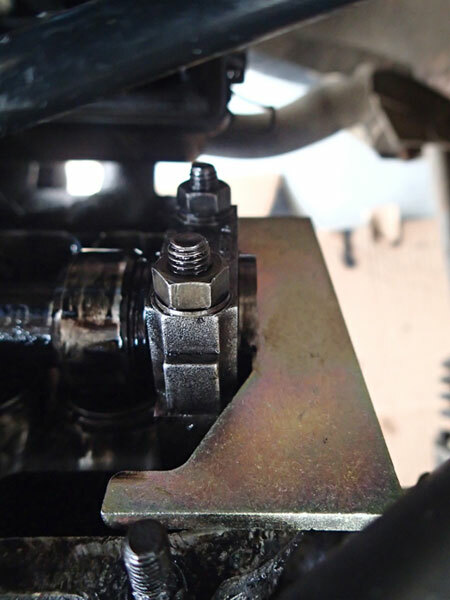 Fixing the timing between the camshaft and crankshaft yielded an unexpected benefit. The engine had been gunning itself at random times earlier. It might start racing on its own as I coasted up to a red light. That stopped after the timing change. I didnâ€™t know that special motor oil was made for diesels. But changing out the oil and putting in new oil and fuel filters didnâ€™t help much. Neither did putting in a fuel additive. My valve clearance is off, but just a tiny bit. That canâ€™t be it. I experimented a lot with the fuel injection pump timing. This helped too, but the results were still unacceptable. This just had to be a fuel pump problem. What was I missing? Well, I finally dug deep enough to find the â€˜smokeâ€™ adjustment screw. Itâ€™s not mentioned in the shop manual, and I canâ€™t find an injection pump manual. But someone had a picture of it online. 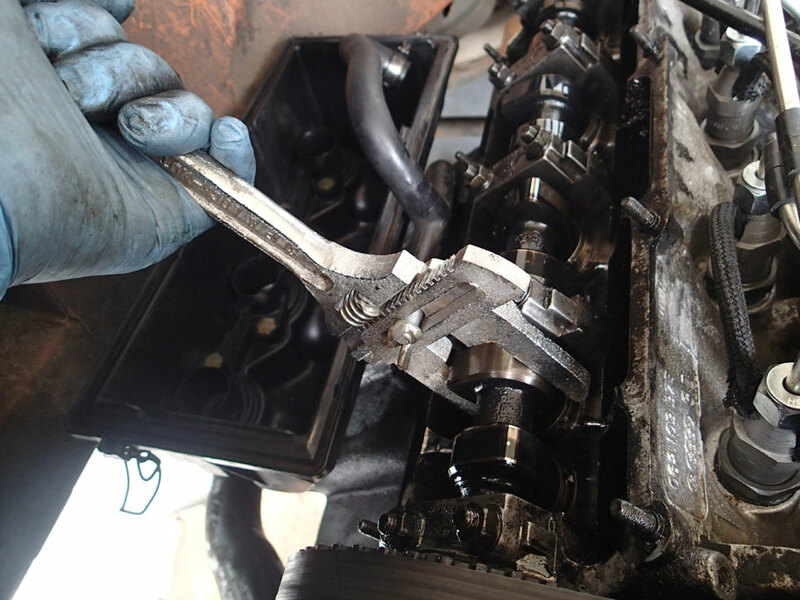 Replacing the injectors. 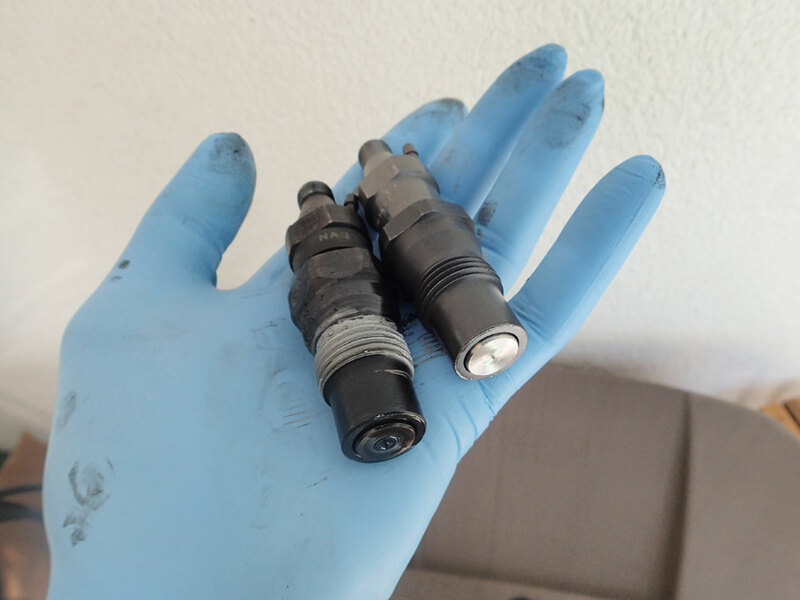 Old cruddy injector is on the left, and new one on the right. 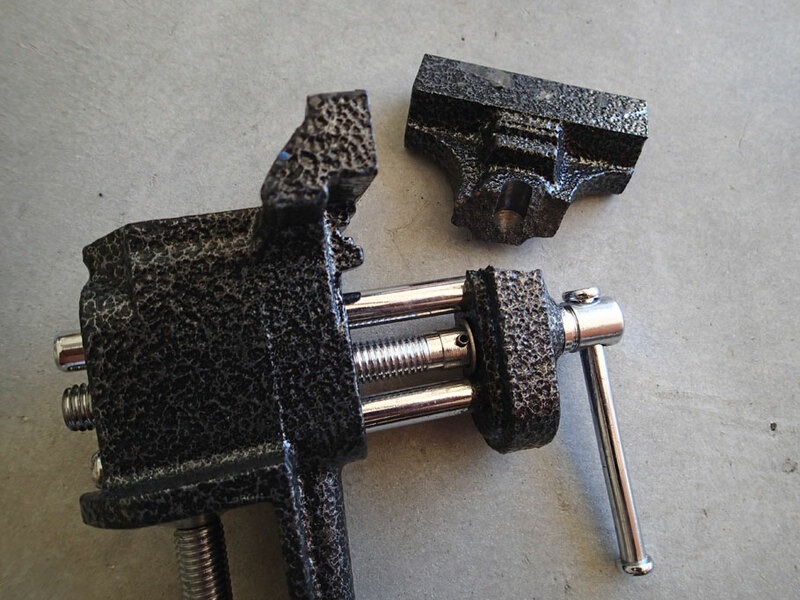 I broke this vise trying to separate the old injector halves from each other. A little of this stuff on the threads will make this easier to unscrew later on. 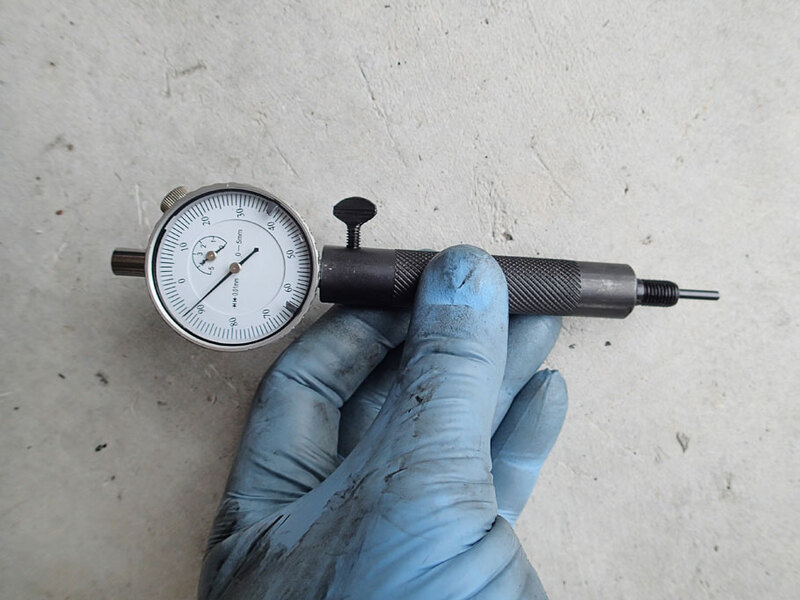 Tighten injector down properly with new ‘clicker’ torque wrench. 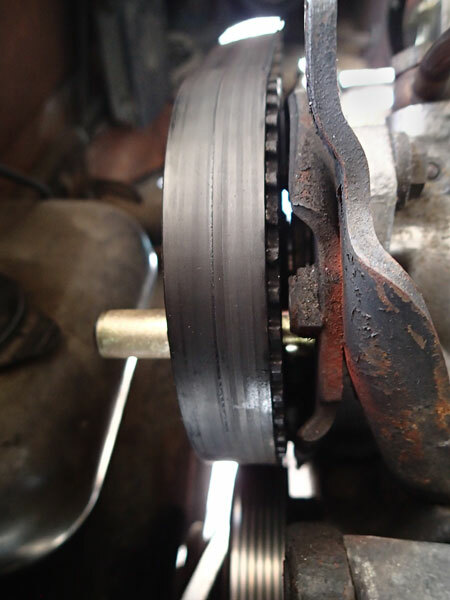 Set the timing belt. This lightly colored plate fits into a slot at the end of the cam shaft to hold it in place at top dead center. Cam shaft (green) and its sprocket (pink). 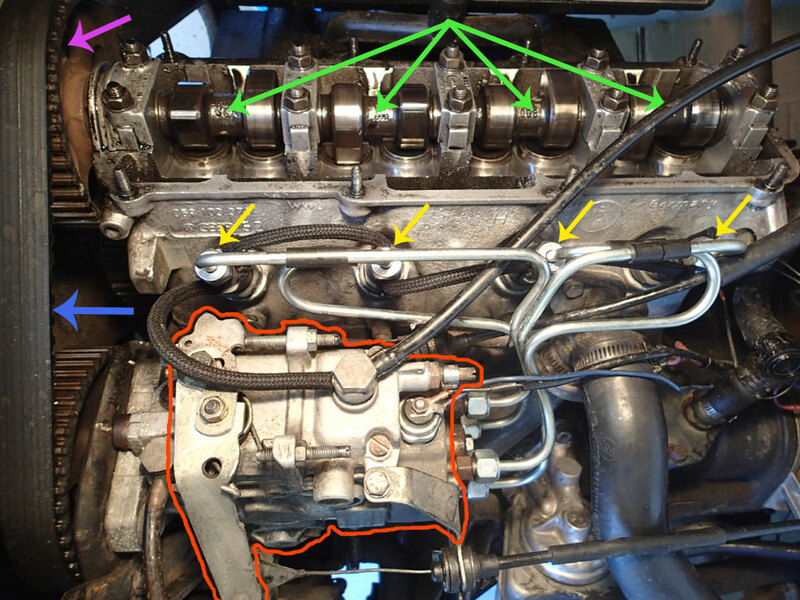 Injectors (yellow), timing belt (blue) and injector pump (red). This viewing hole is between the engine and transmission. 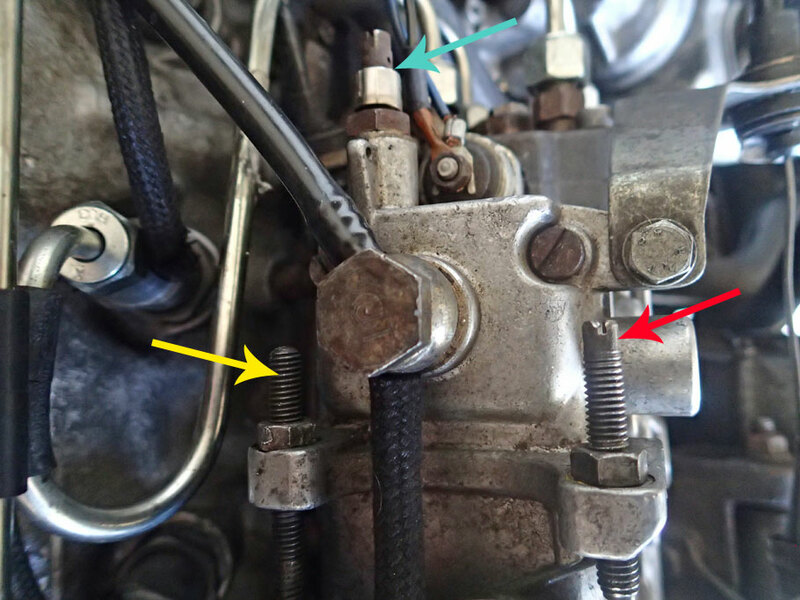 When the arrow (yellow) points to the middle of the notch (red), the crank shaft is at top dead center. 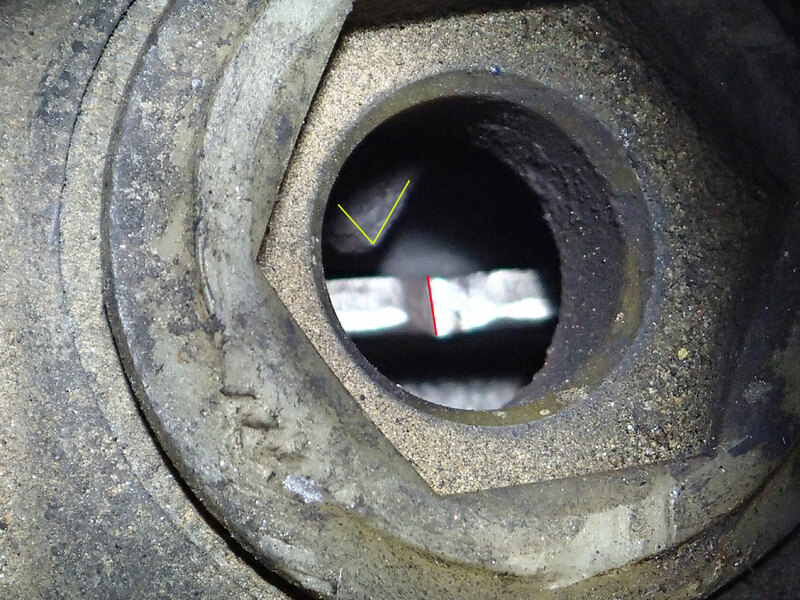 The arrow points left of the notch, so we need to align the crank shaft with the cam shaft. 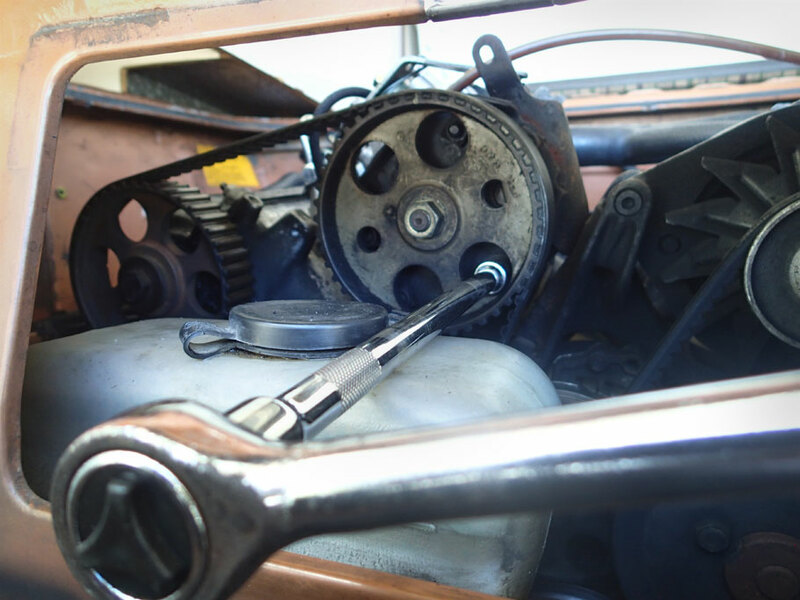 A spanner wrench on one of the cam shaft lobes holds the shaft in place. Now to unscrew the the sprocket bolt, set the crank shaft to top dead center, then tighten the cam sprocket back down. This gold colored pin goes through a hole in the sprocket to a hole in the injection pump. It shows that the pump is roughly in the correct position. It may require some finer tuning though. This timing gauge came without instructions. 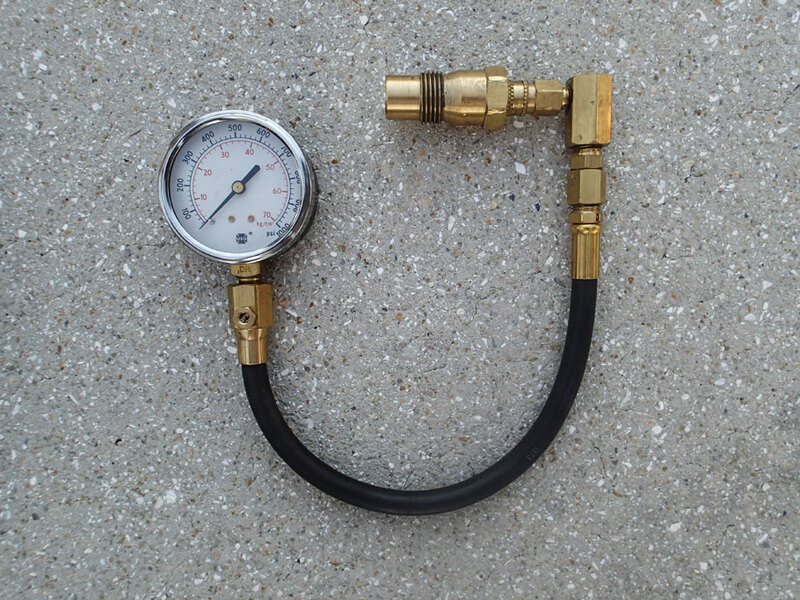 When screwed into the injector pump it measures depth change in hundredths of a millimeter. Took me a while to figure out that ‘set to zero’ means rotate the face until 0 is under the arrow. 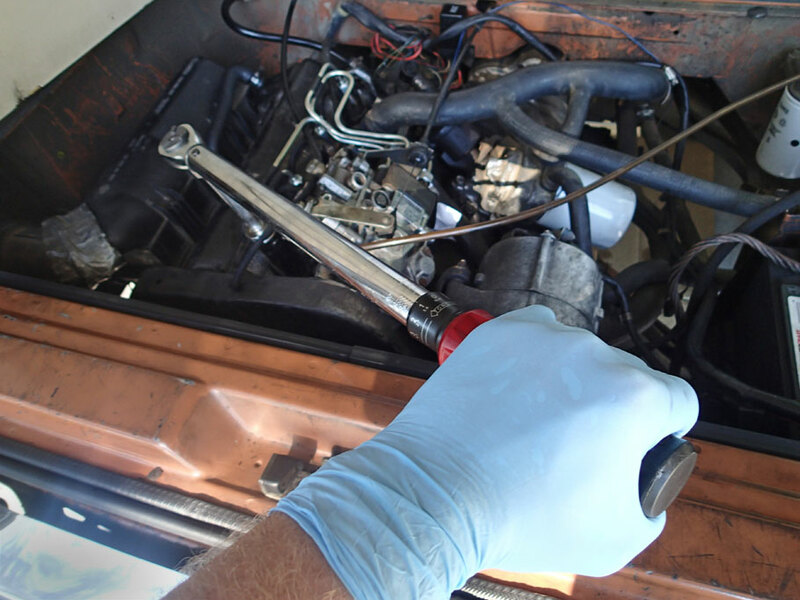 To adjust the injection pump timing, loosen the mounting bolts and twist the pump. This VW engine is really accessible from the top and bottom. One of the bolts is easier to reach, though, by opening the license plate door and using a socket extension. Smoke screw on the injection pump! 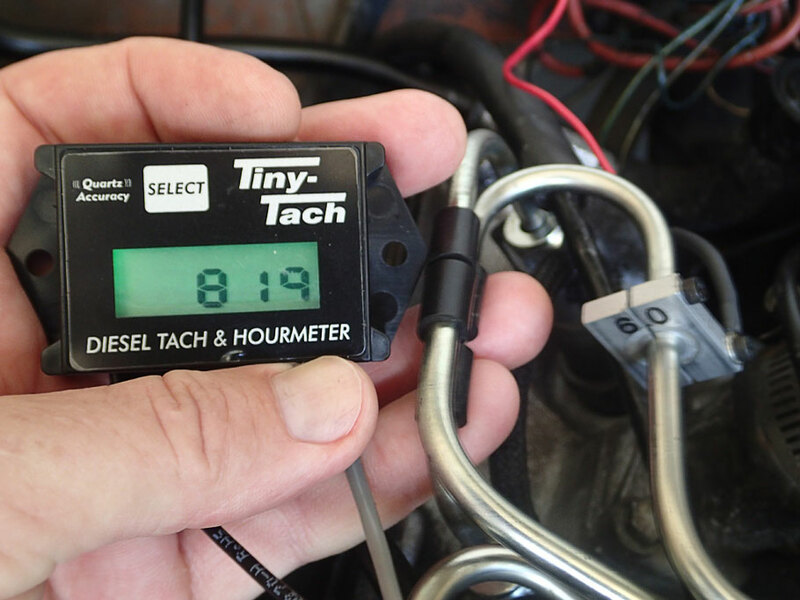 Tachometer display (left) gets input from pieza sensor clamped around injection line (6.0 in right). Our idle speed of 819 rpm looks good.